This service allows you to make credit or debit card payments for Georgia Highlands College student accounts. A non-refundable CASHNet service fee of 2.75% (minimum $3.00) will be added to your payment. Please note, international credit cards are subject to a non-refundable service fee of 4.25%. 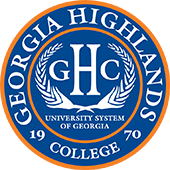 Georgia Highlands College receives no part of the convenience fee nor remuneration from CASHNet, Visa, MasterCard, Discover, or American Express. ACH or electronic check payments are not charged a service fee. CASHNet accepts Visa, MasterCard, American Express, and Discover.